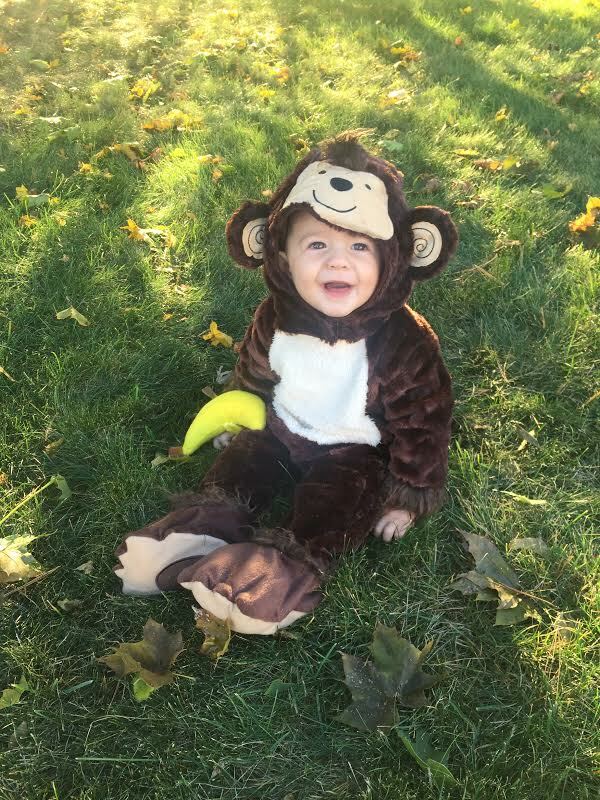 Being able to dress up our little man in a Halloween costume! 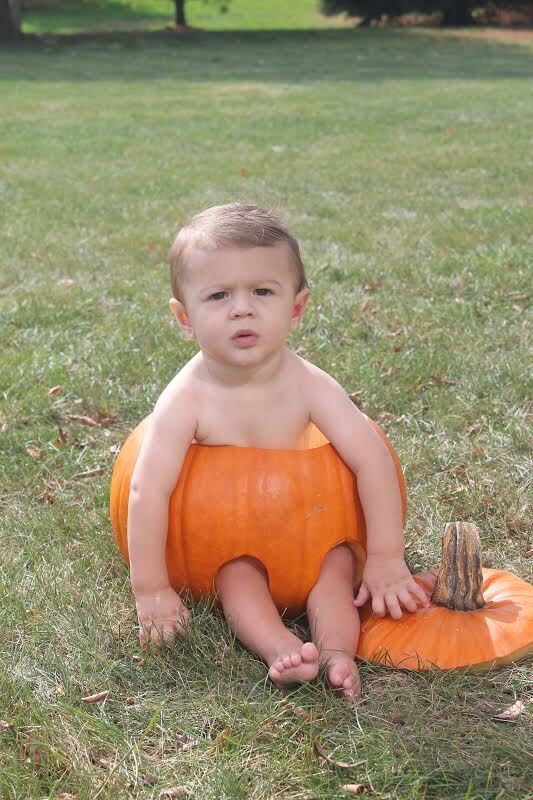 I know I sound like a broken record here, but is there anything better than babies in costumes? JUST as good and fun as I imagined it to be! 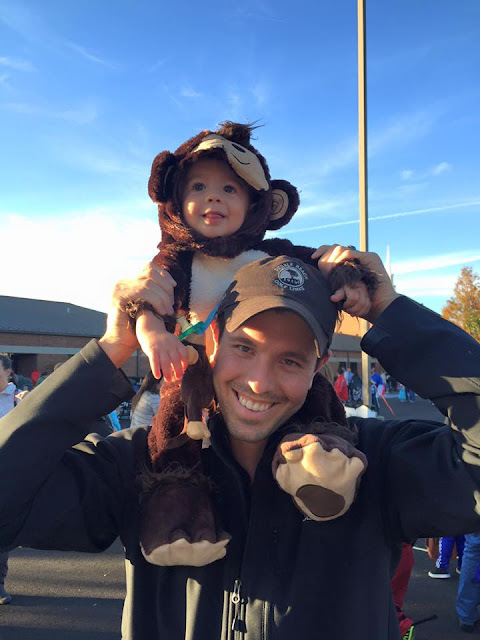 When we were trying to decide what Camden should be for Halloween, we saw this monkey costume and thought it fit his wild and all over the place personality perfectly! 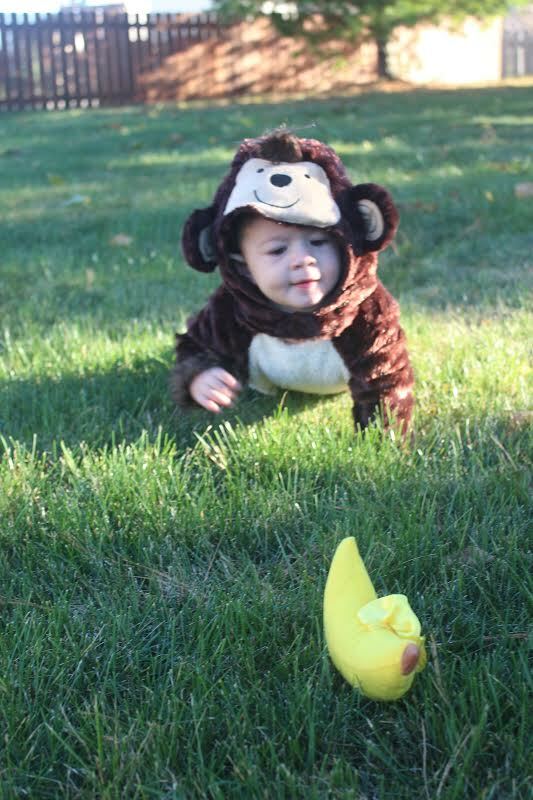 He looked so adorable in it and loved the banana rattle that came with it. 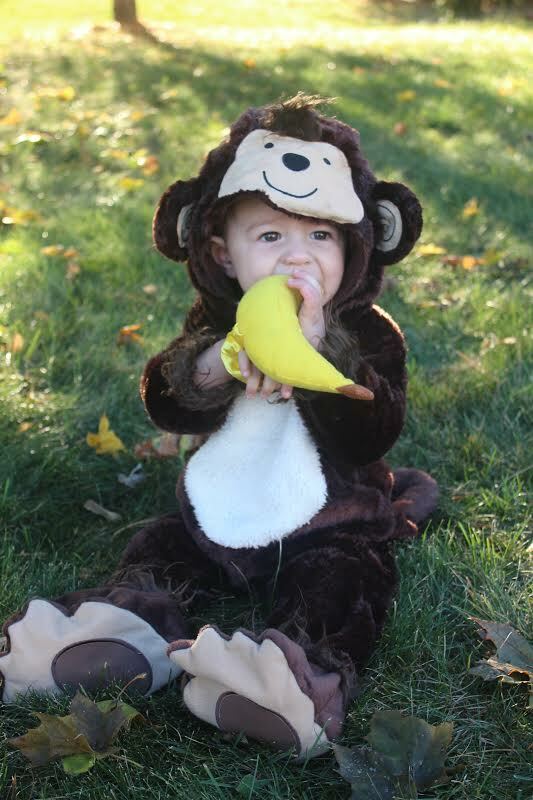 I wish I could say I had planned the whole time to dress up as a banana to match him, but I actually randomly found this youth sized costume a few hours before trick-or-treat when out shopping. It was the last one left and I knew I had to get it, no matter how ridiculous I looked! Gone are the days of dressing up to actually look cute...ha. 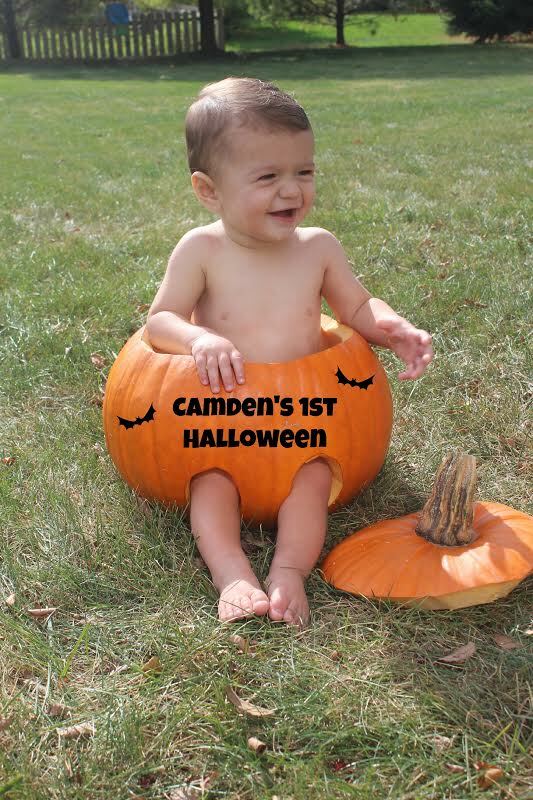 We had so much fun dressing him up for trick-or-treat, even if the whole experience was mainly for our benefit. 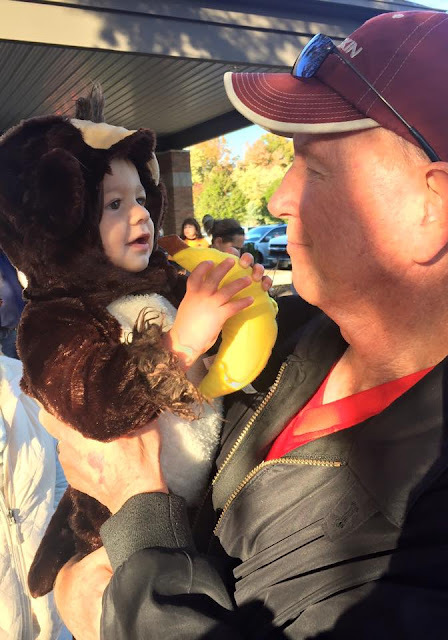 We took Cam to about 6 or 7 houses, went on a long walk in our neighborhood so that he could see all the costumes and kids, and then we all (Rocky too! 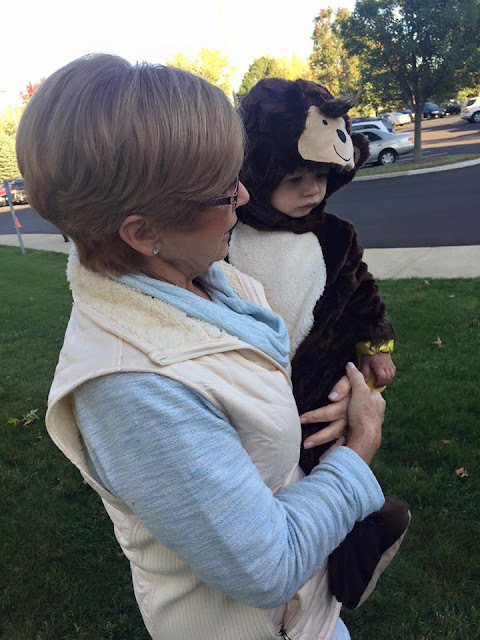 he got a pass at wearing a costume this year) sat in our driveway and passed out candy to all the kids in our neighborhood. 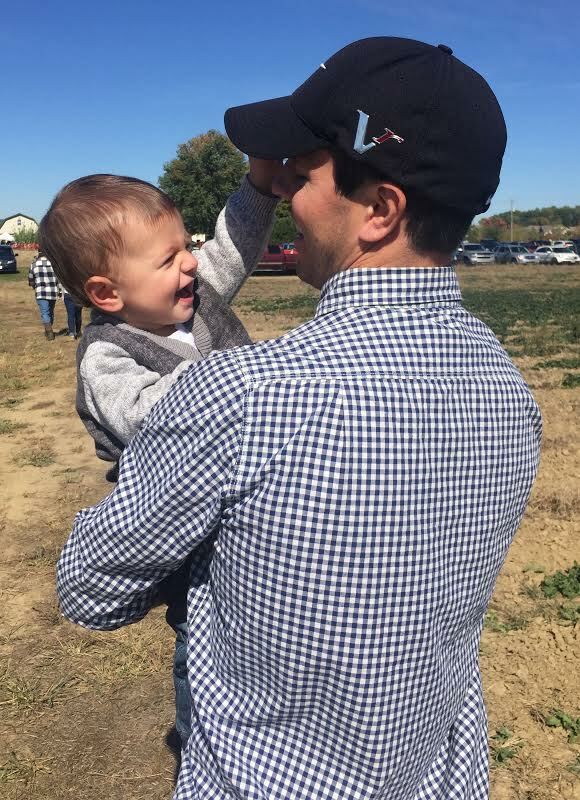 I know that I can speak for both me and Billy when I say it was our most memorable (and most rewarding) Halloween yet...so special. Nailed it! "Look at my muscles, ma!" 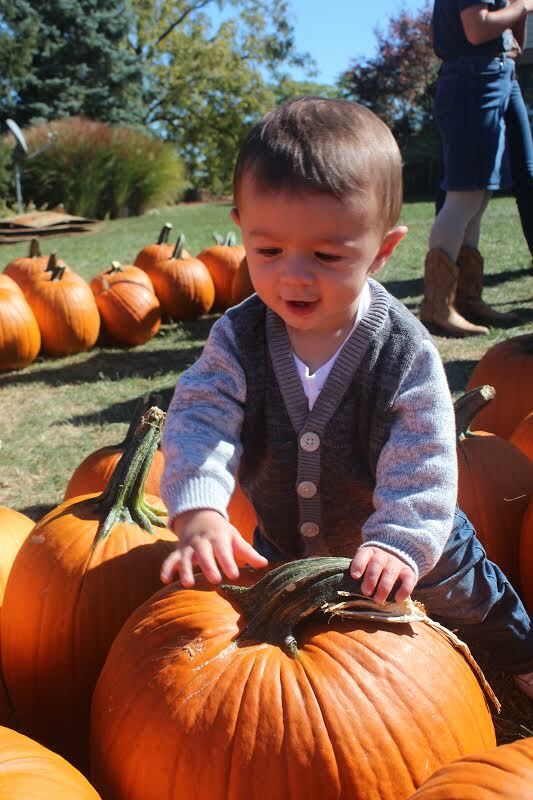 Baby's first trip to the pumpkin patch! 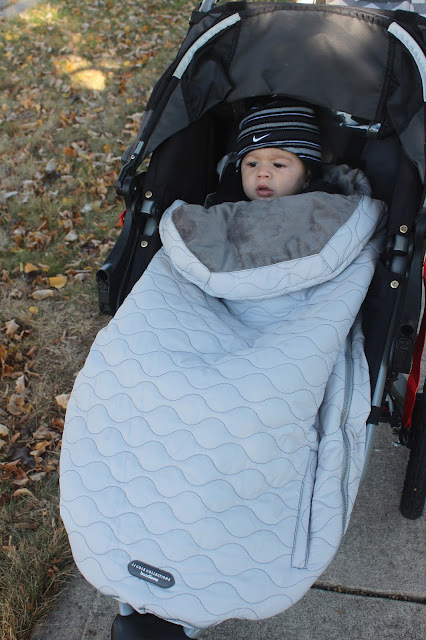 I wanted to share/show this toddler version because it fits onto the stroller perfectly and zips up easily around him to keep him warm. I highly recommend either of them, depending on the size of your little one, for the colder months! 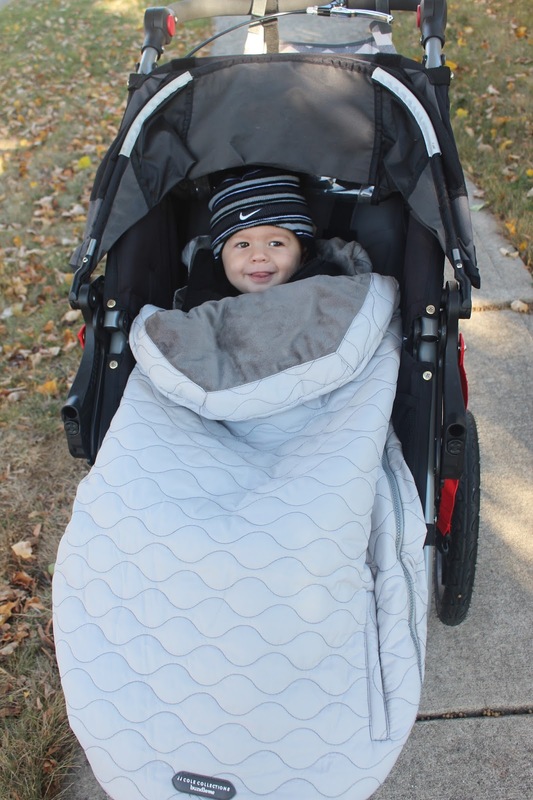 We plan to use it all winter so that we can still take our walks outside and give Cam (and us) some fresh air! Attended our first trunk or treat! A church just a few minutes away from our house hosted this event last weekend and my parents decided to come with us. 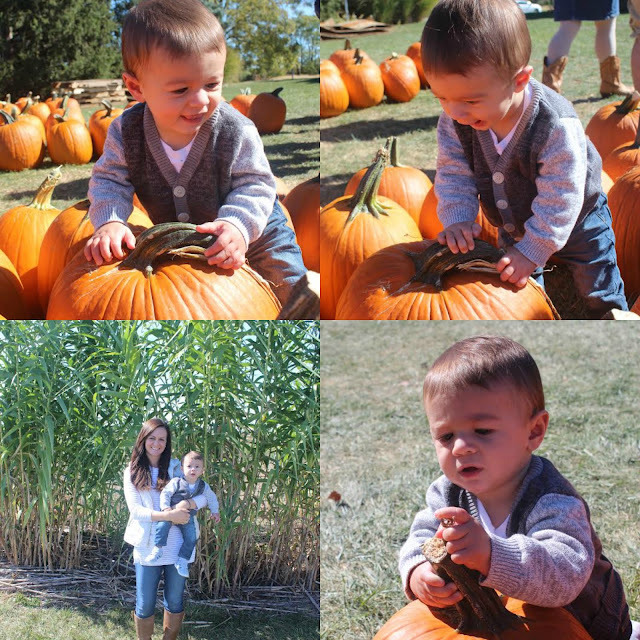 They had food, beverages, candy, and a hayride - it was so much fun! gah! he looks so friggin adorable I can't stand it. 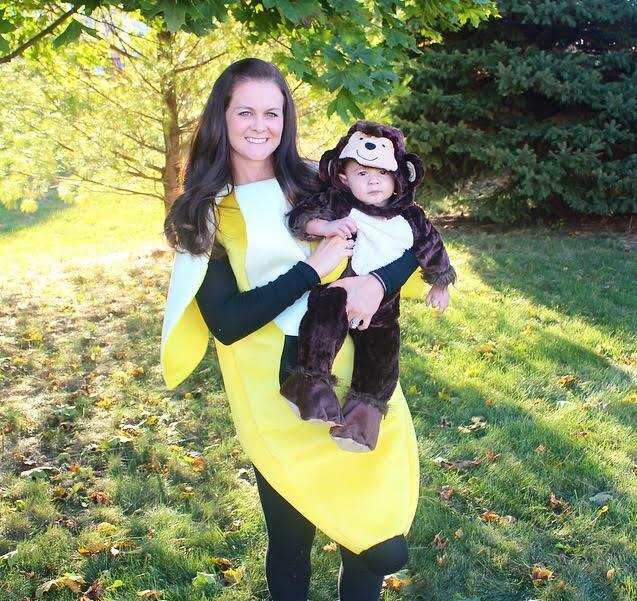 love that you were the banana to match him-so cute! looks like you had a great weekend. and yes..i'm with you about the whole christmas thing :) can't wait! its so much more fun with little ones! 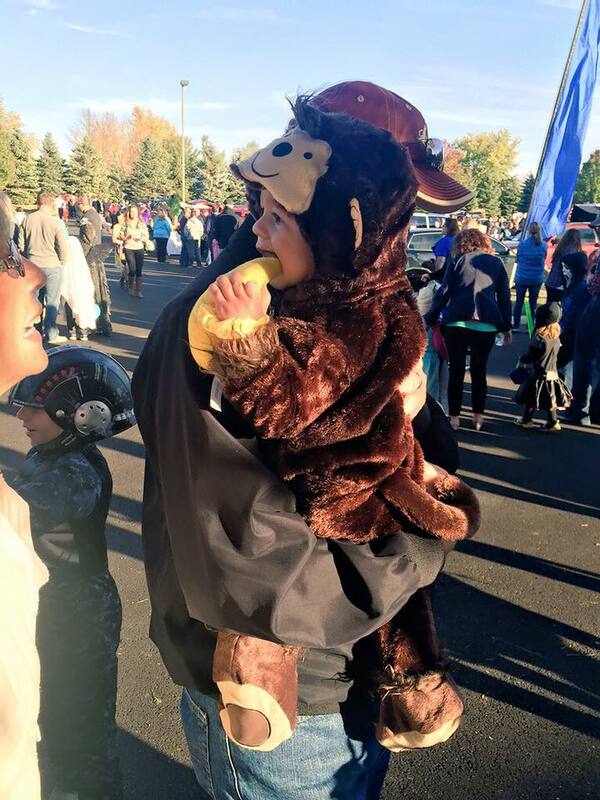 Such a cute little monkey you have. 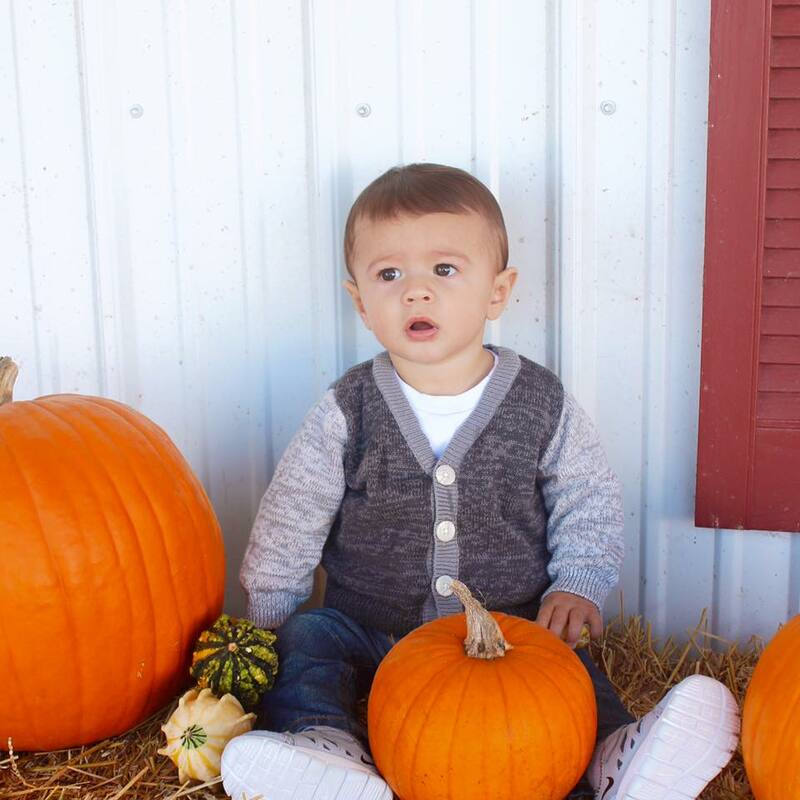 This is our last holiday season without a little one and I am completely looking forward to next year! Ah, Christmas! If you loved Halloween this much, trust me, Christmas will be amazing! 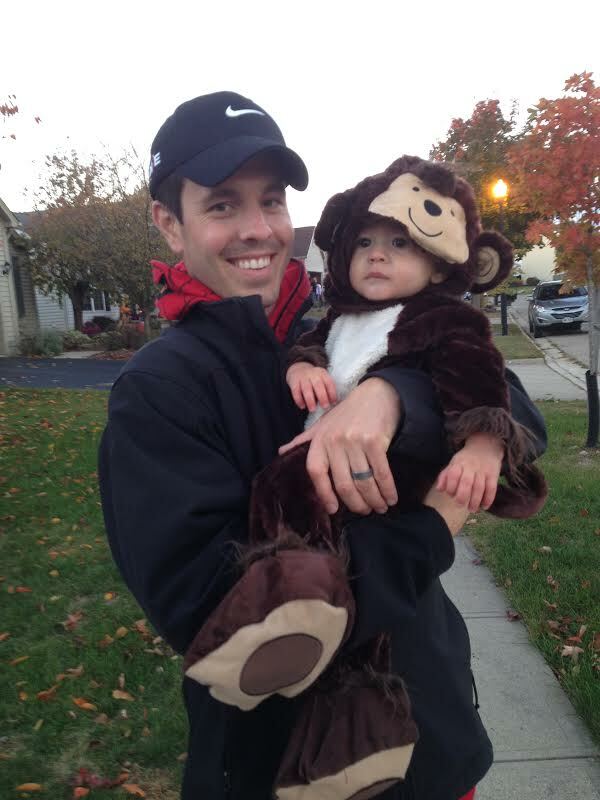 :) Love little Cam in the monkey costume...my little one was a monkey too. I think that last picture of him and Billy is frame-worthy!